The Ceratosaurus logo uses an illustration by the renowned paleoartist Alain Bénéteau. This image is copyright protected and is being used as my website logo with written permission by Alain Bénéteau. Please take time to enjoy his amazing art at his Paleospot website. Should you have an interest, below are links to a variety of fascinating and informative websites which are related in some way to extinct/existent life on Earth, non-sport card collecting, and/or paleoart. 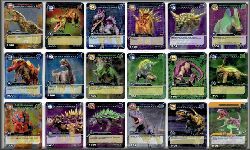 If you are aware of a web site with information relating to the subject matter of The Dinosaur Fan which you feel should be added, please contact me at mmriley@dinofan.com. I am particularly grateful to the following web resources without which I could never have fully developed The Dinosaur Fan website. A Guide to the Orders of Trilobites is an absolutely indispensible guide, resource, and pictorial reference pertaining to trilobites. 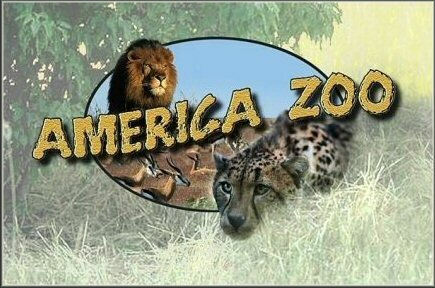 Lesley Fountain's (formerly David Childs') American Zoo contains a lot of information about existent vertebrate animals along with a ton of wonderful photos of the animals. Amethyst Galleries' Mineral Gallery is an exhaustive resource covering minerals, rocks and related inorganic substances. The Animal Diversity Web is an online database of animal natural history, distribution, classification, and conservation biology at the University of Michigan and is an extremely useful site for the classification of living organisms. BioLib is an international encyclopedia of plants, fungi and animals. This multi-authored site is a remarkable resource for information about bugs (e.g., insects, spiders, and other "creepy-crawlers"). L. Smith's Bumblebee site is, as the name indicates, first and foremost an information source about bumblebees. However, there is also a lot of information about many other invertebrates which is worth viewing. 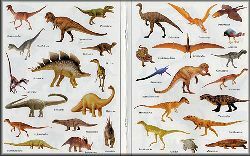 Directory of dinosaur provides resources with categorized listings of names, facts, dinosaur museums, fossils, and dinosaurs around the world. Fred Bervoets' DinoData is a great site for specific dinosaur information some detail of which is seldom presented in other websites. George Olshevsky's absolutely exhaustive list of all valid (and invalid) dinosaur genera. 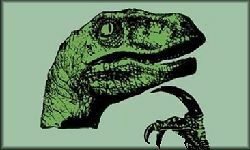 Note: this site is currently in a transitional state (last checked: 09/16/2009). Dinosaur-Facts.com was launched in late 2007 as an attempt to develop a high quality dinosaur learning resource. Our goal is to make learning and teaching about dinosaurs fun, factual and most importantly accurate. Discover Life is a good on-line encyclopedia of existent life with plenty of information and tons of very nice photos. 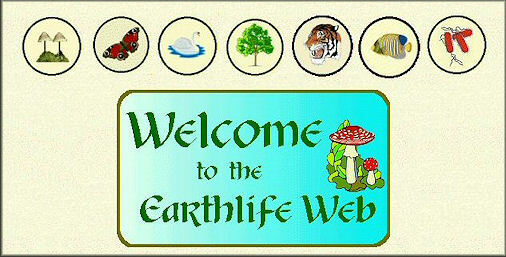 The Earth Life Web is an encyclopedia of life on Earth and is a pretty good learning center for kids and adults alike. Enchanted Learning is a large repository of relatively brief information pertaining to a vast number of topics including life forms. This site is a very good learning center for kids and adults alike. The Encyclopedia of Life goal is to provide global access to knowledge about life on Earth. It is a valuable paleobiology-related website and a fantastic site for cladogram and extinct/existent life form classification. 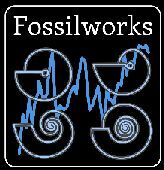 Fossilworks is one of the most indispensable paleobiology-related website especially for research and identification of life form taxonomy. This is a fantastic site for cladogram and classification information pertaining to just about any life form and contains an incredible amount of extinct life information. Global Biodiversity Information Facility is an international open data infrastructure which is funded by governments and provides a searchable, downloadable source of data about all types of life on Earth. Ryosuke Motani's Ichthyosaur Page is a superb website containing an exhaustive amount of information about the ichthyosaurs. ION is a complete source of organism names based on published literature derived from premier Thomson Reuters databases: Zoological Record, BIOSIS Previews, and Biological Abstracts. This site provides information on millions of animal names, both fossil and recent, at all taxonomic ranks and is a truly indispensable reference. The Integrated Taxonomic Information System (ITIS) is a searchable on-line database focused on taxonomic information (species names and their hierarchical classification) of plants, animals, fungi, and microbes of North America and other parts of the world. The ITIS was commissioned by the White House Subcommittee on Biodiversity and Ecosystem Dynamics as a component of ecosystem management and biodiversity conservation. Mike Hanson's The Pterosauria, while still in it's infantcy, contains some good information pertaining to the Pterosauria. Mikko Haaramo's outstanding and painfully detailed collection of phylogenetic trees covering nearly every life form on Earth. "Everything about Meteorites!" as their tag line states is what this site covers. 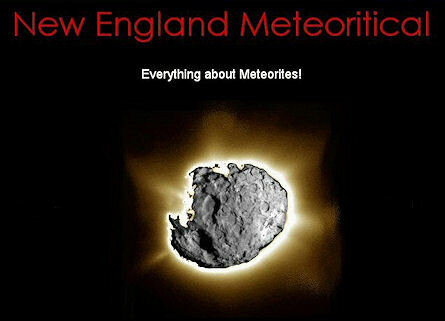 This is an indispensable information source about meteorites. The Palaeos Site is another extensive site dedicated to providing detailed information on the history of life on Earth. A wonderful magazine that focuses on prehistoric animal modeling, artwork, collecting, and paleontology. Excellent paleo-art and models are abundant in this magazine along with interviews, interesting paleontological articles, and collecting tidbits. Syatema Naturae provides an exhaustive and extremely useful drill-down classification of life past and present. This very robust site provided by the University of California, Berkeley contains a wealth of knowledge about a large variety of living organisims on earth. Great cladogram information. Dr. Adam Stuart Smith's Plesiosaur Directory is an exhaustive resource covering all aspects of the plesiosaurs. The Taxonomicon is an indispensable "biodiversity information" website especially for research and identification of life form taxonomy. This multi-authored site is a remarkable resource for information about the diversity of organisms on Earth, their history, and characteristics. A great site for cladogram information pertaining to just about any life form. 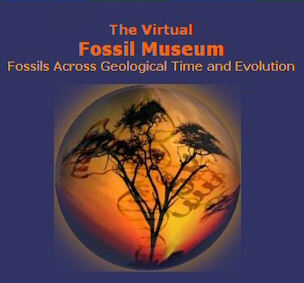 The Virtual Fossil Museum is a site dedicated to the life sciences and fossil collecting with the goal of providing an ever-expanding scientific and educational resource knowledge base of information associated with fossils. Justin Tweet's Thescelosaurus! website is pretty much an on-line dinosaur dictionary and contains a lot of good information. uBio is an initiative within the science library community to join international efforts to create and utilize a comprehensive and collaborative catalog of known names of all living (and once-living) organisms. Brent Huffman's Ultimate Ungulate is a fantastic website devoted to ungulate (animals with hooves) and contains a ton of information, pictures, and links. World Register of Marine Species (WoRMS) is a searchable on-line database focused on marine organisms and related taxonomy. Zipcode Zoo is a searchable field guide to plants and animals of the world containign a large volume of information, pictures, and resources.